Hastelloy X round bars, ASTM B572 Gr. N06002, O.D=219 mm, Length=1025 mm. 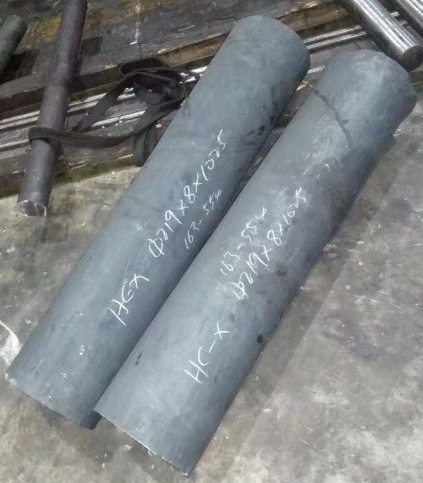 Hastelloy X round bars manufactured to ASTM B572 Gr. N06002. Density: 0.297 lb/in3 [8.23 g/cm3]; Condition: hot rolled & solution annealed. These bars will be delivered to a German client from Rhineland-Palatinate.